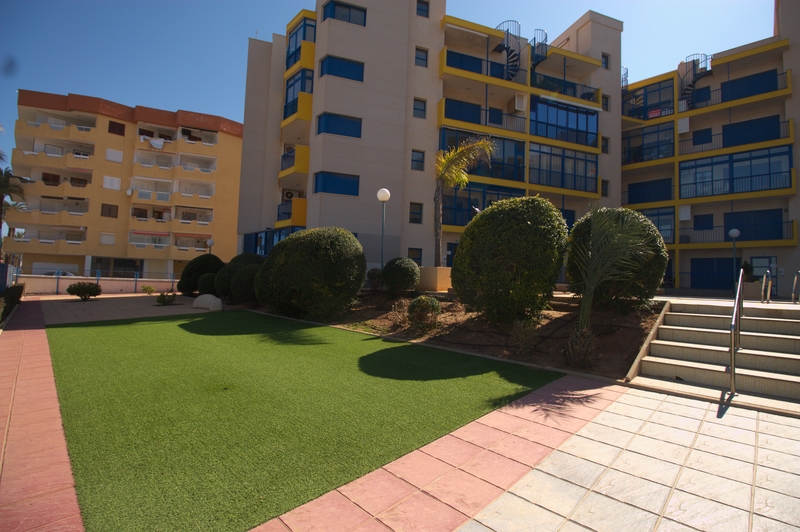 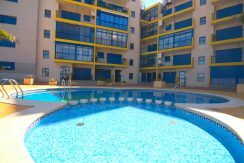 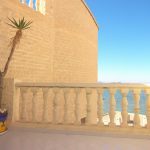 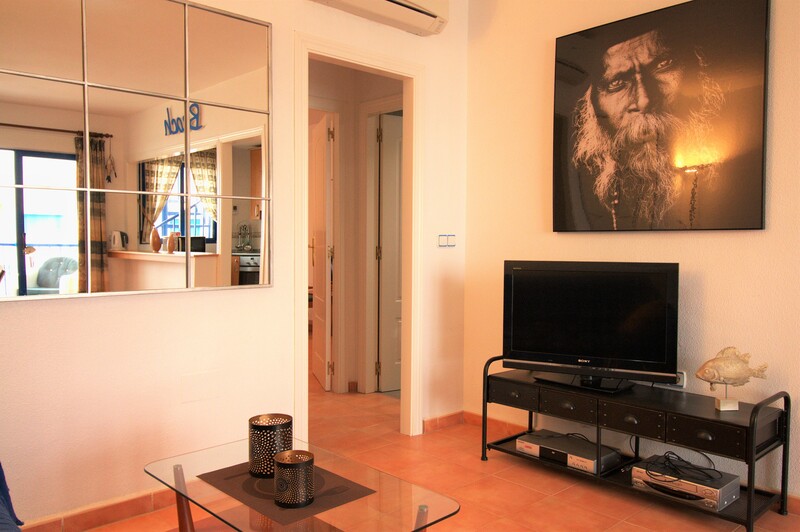 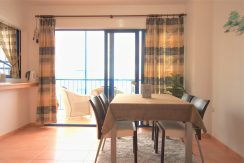 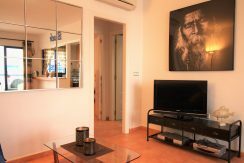 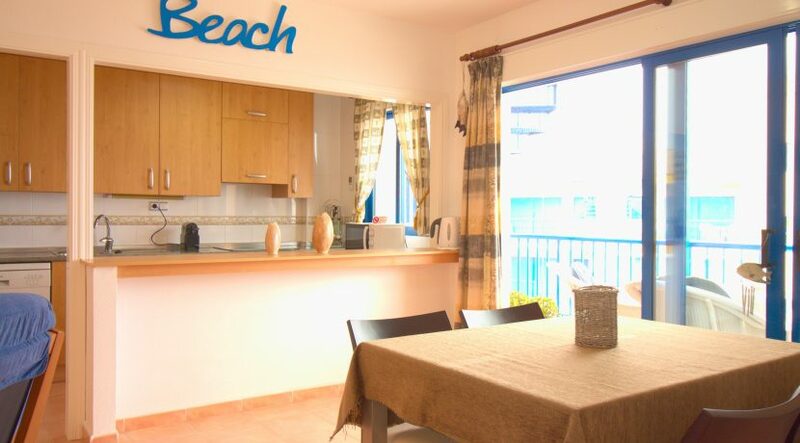 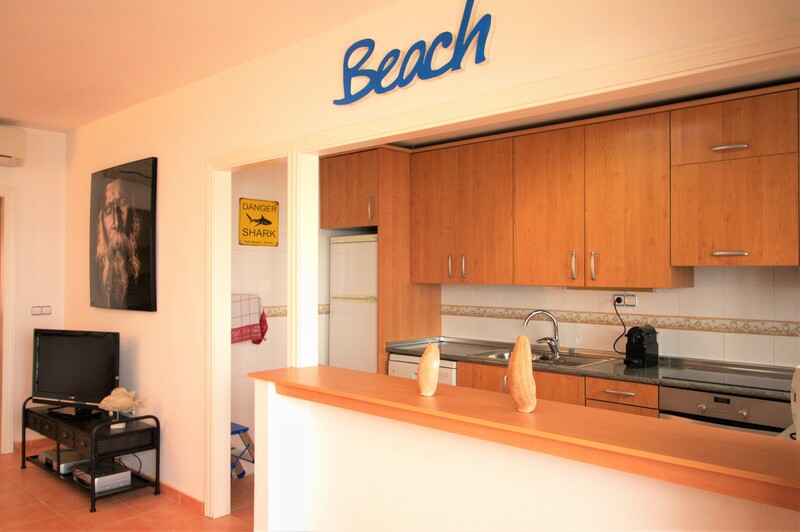 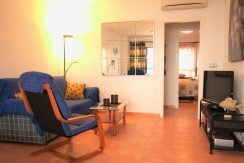 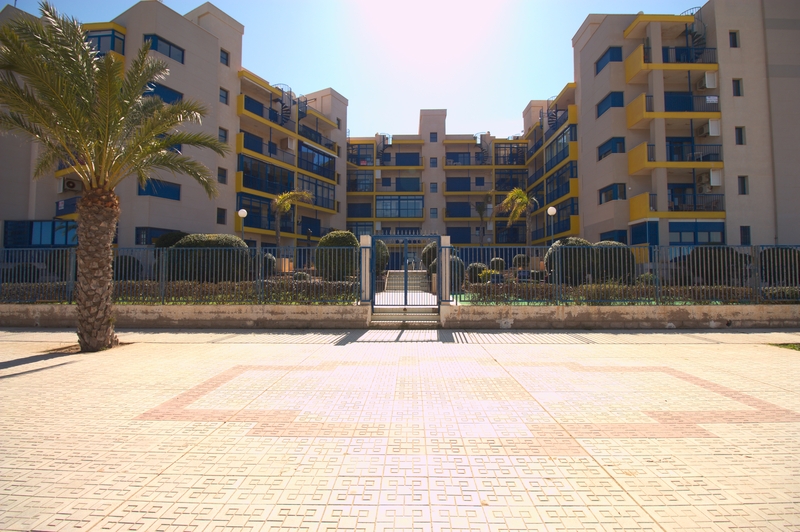 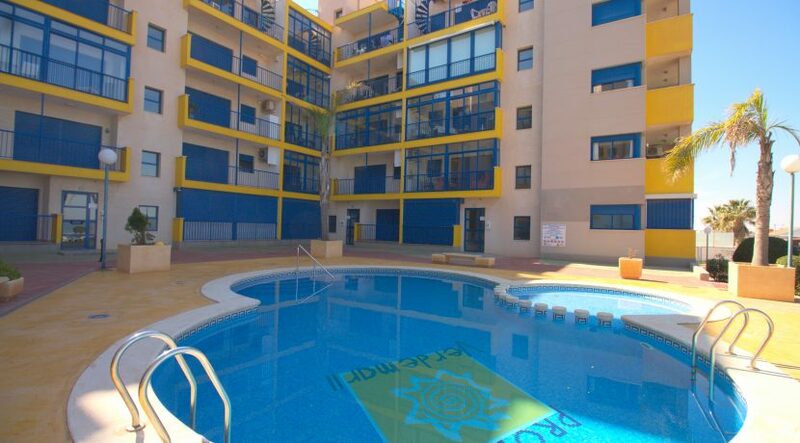 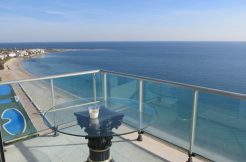 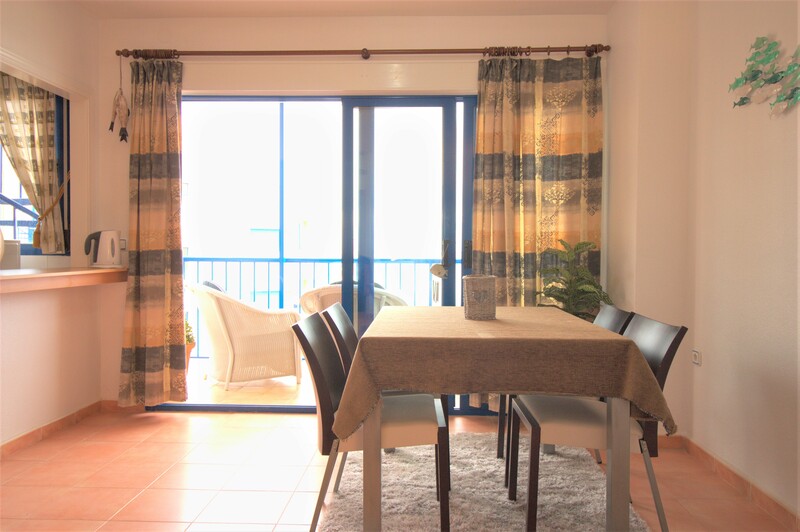 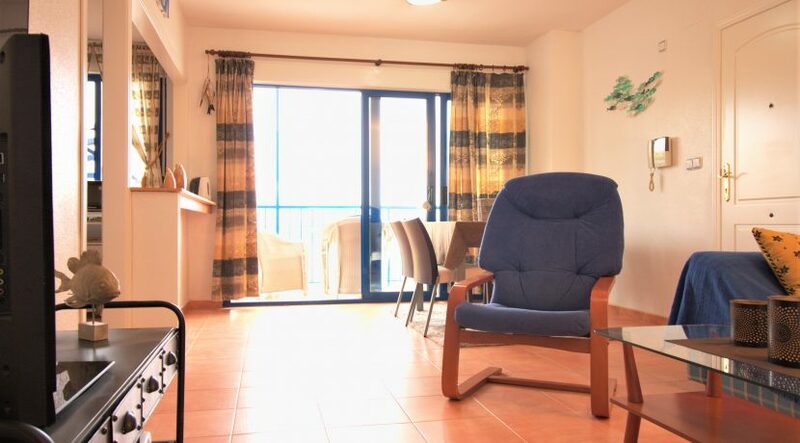 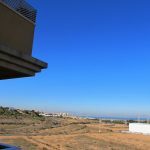 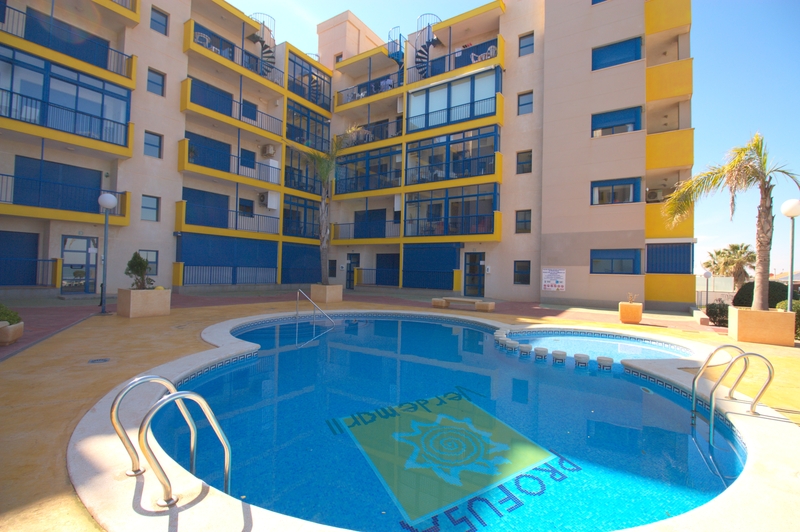 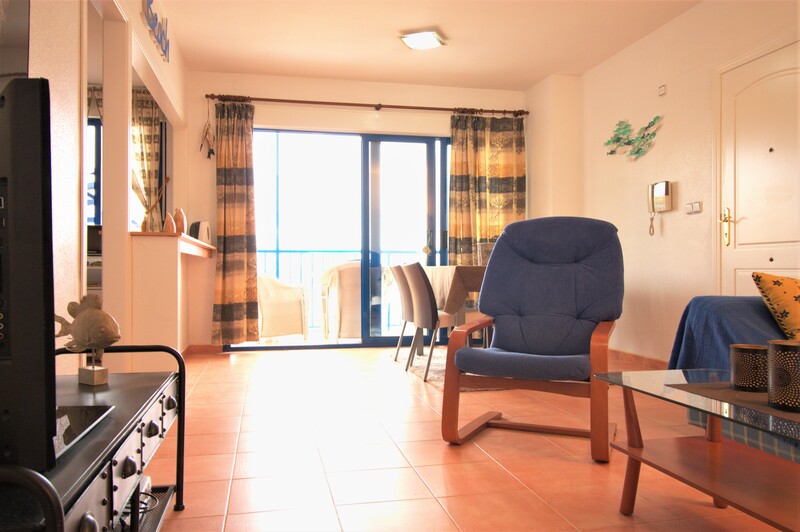 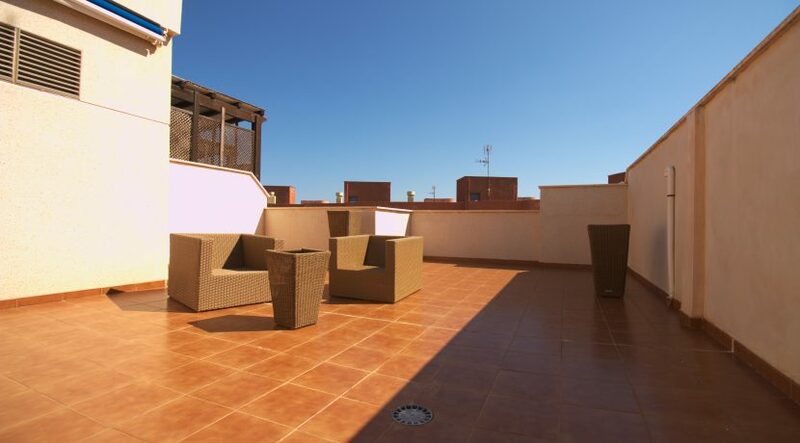 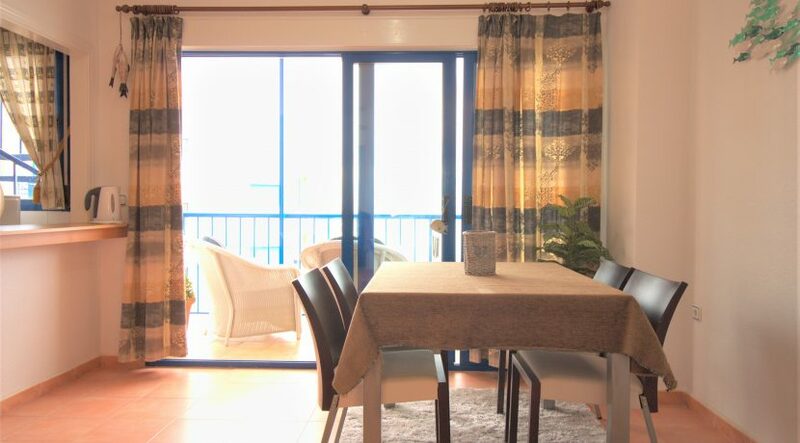 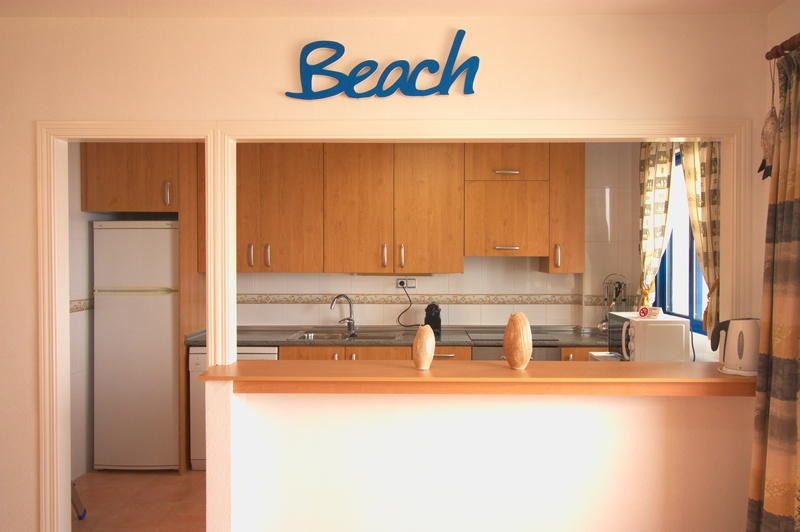 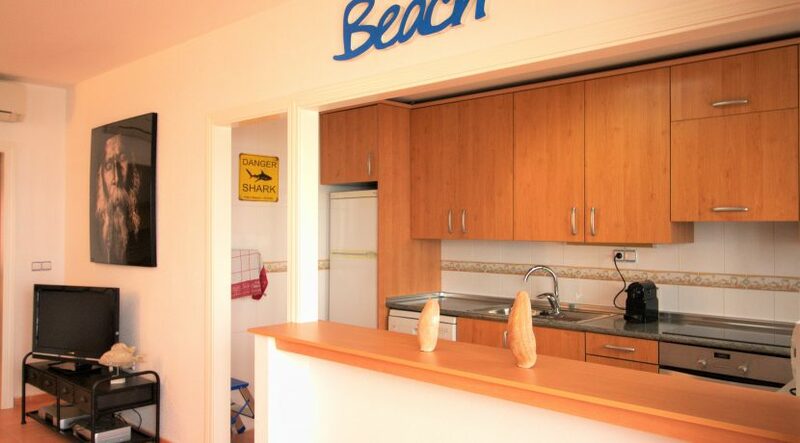 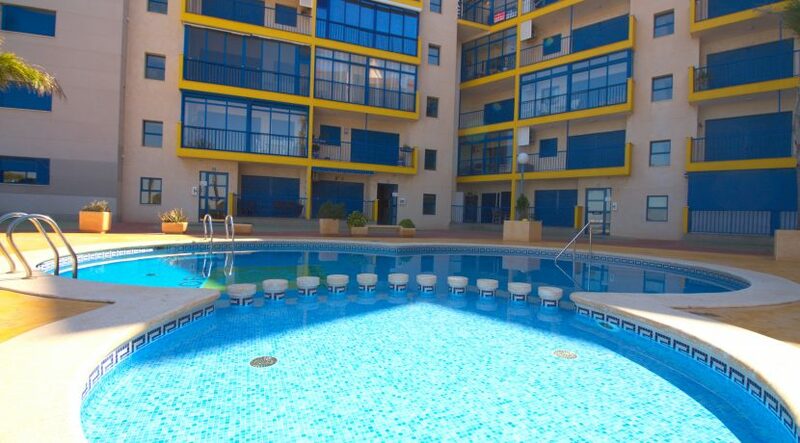 This bright two bedroom penthouse is located in the popular front line development Verdemar II, in Playa Honda. 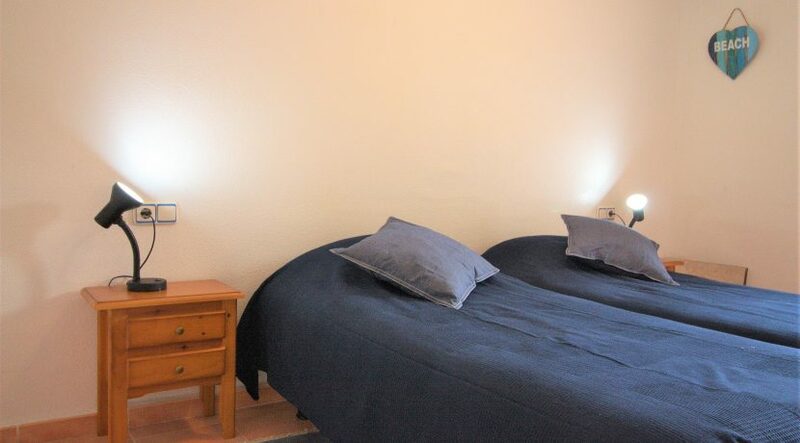 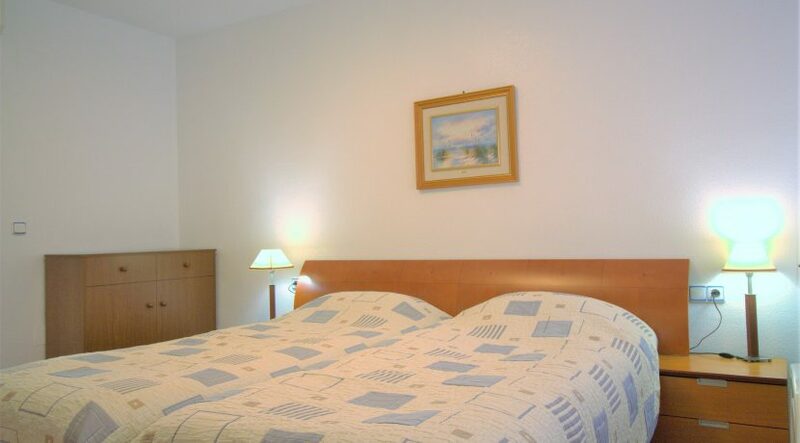 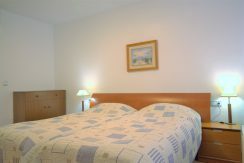 The two bedrooms have got two twin beds each. 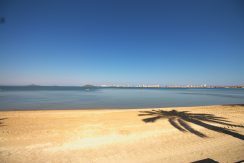 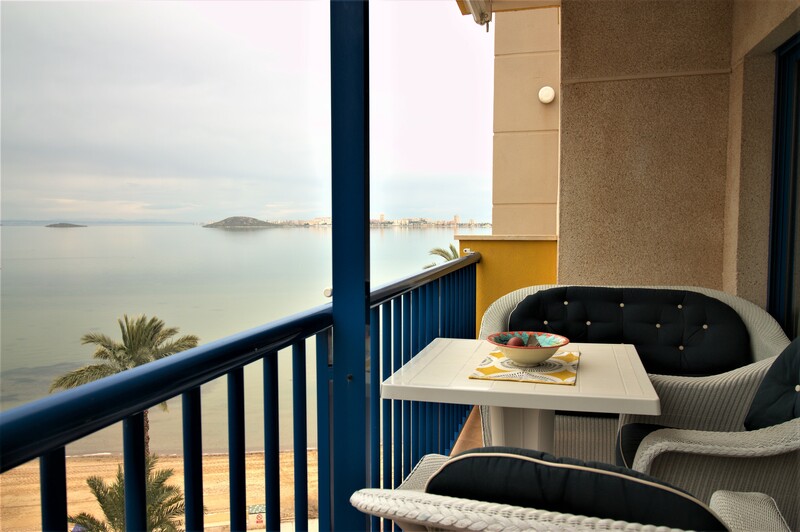 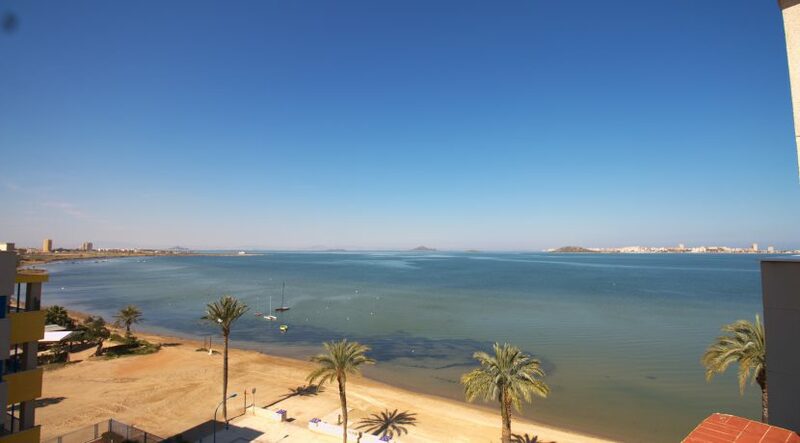 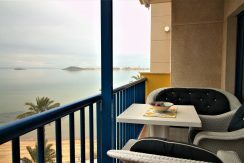 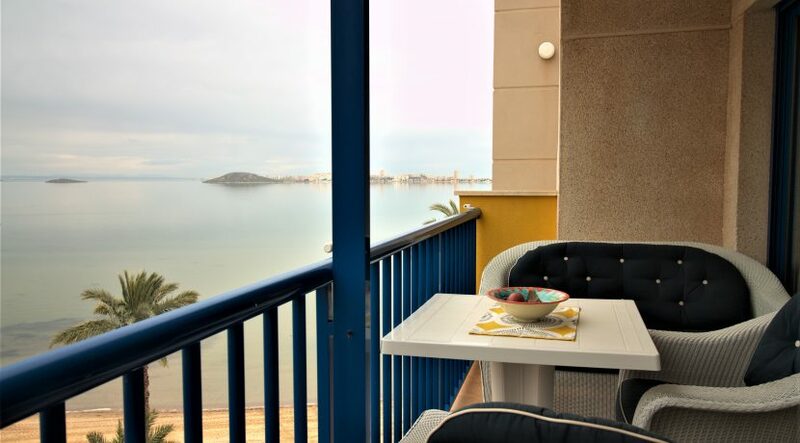 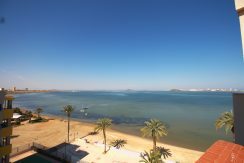 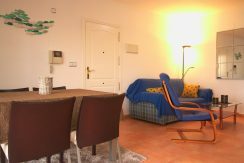 The living room is sunny and airy and has got a sofa area with flat screen TV and a dining area, for 4 people, with access onto the lovely terrace with perfect views over the Mar Menor sea, from where the unique sunsets can be enjoyed. 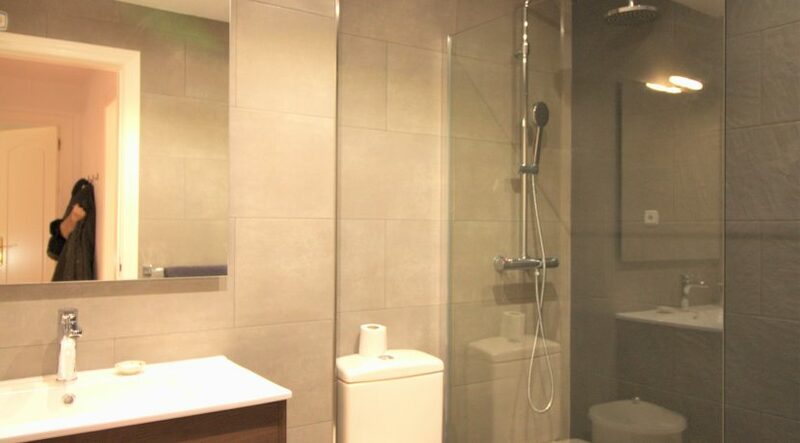 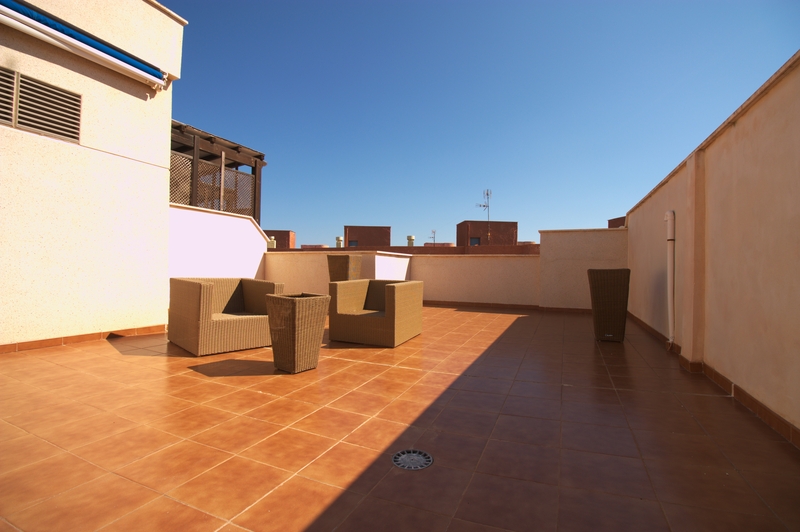 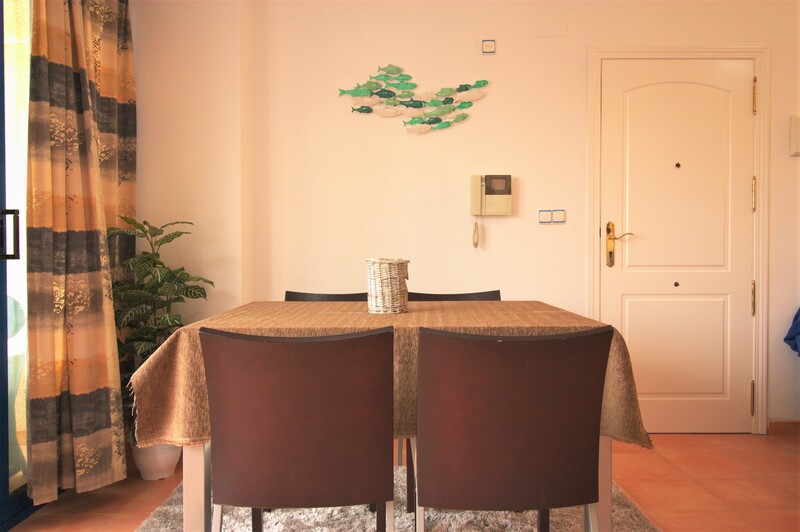 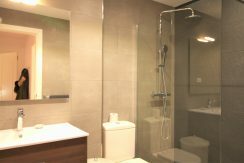 The apartment is equipped with air conditioning units in living room and both bedrooms, dishwasher, washing machine, cafe machine, and has got a large roof terrace to enjoy the sun. 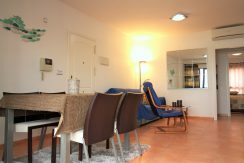 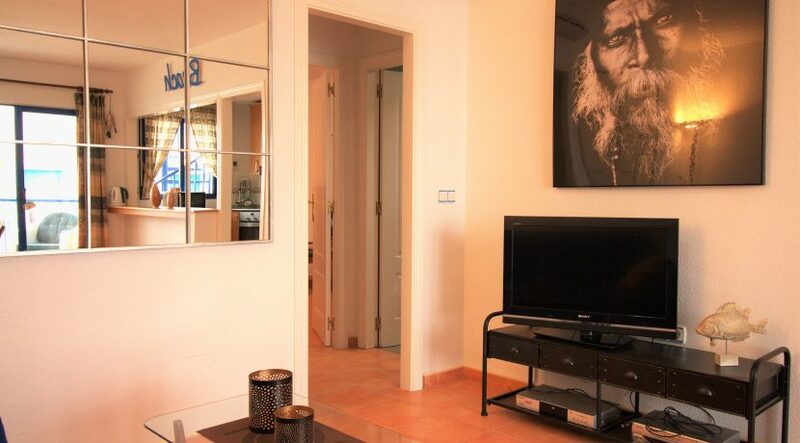 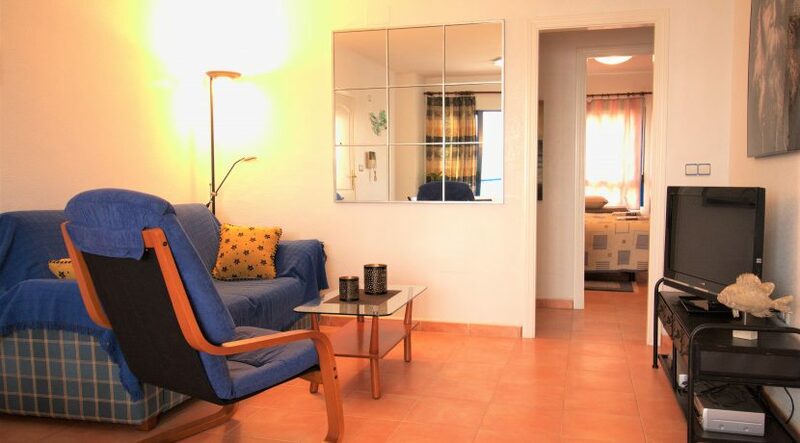 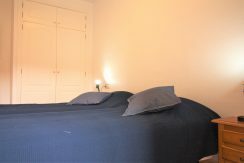 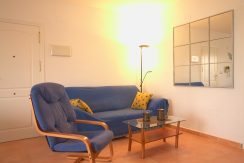 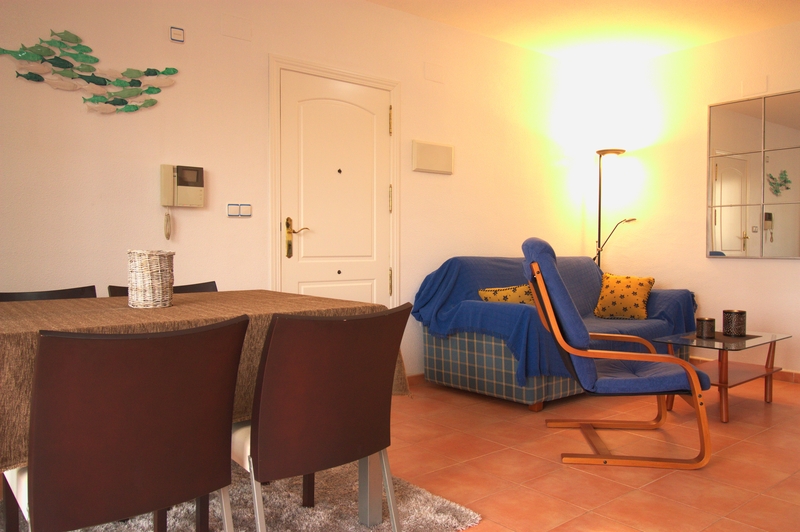 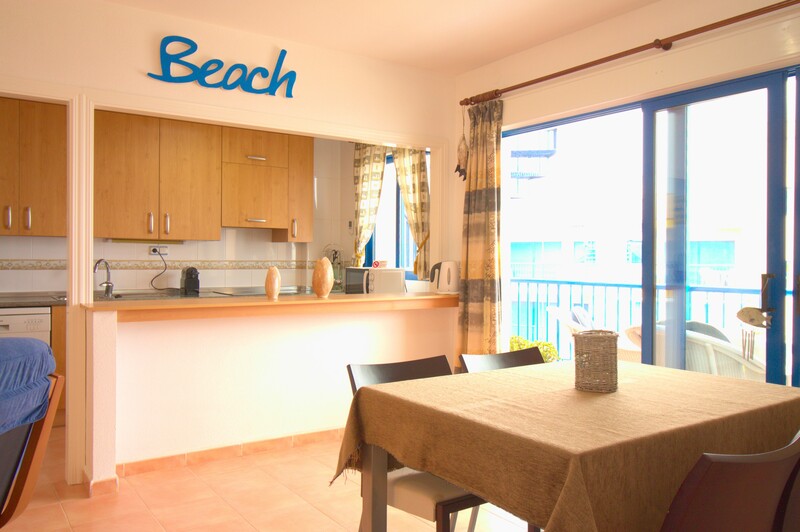 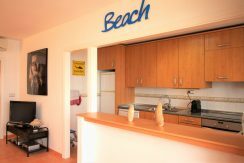 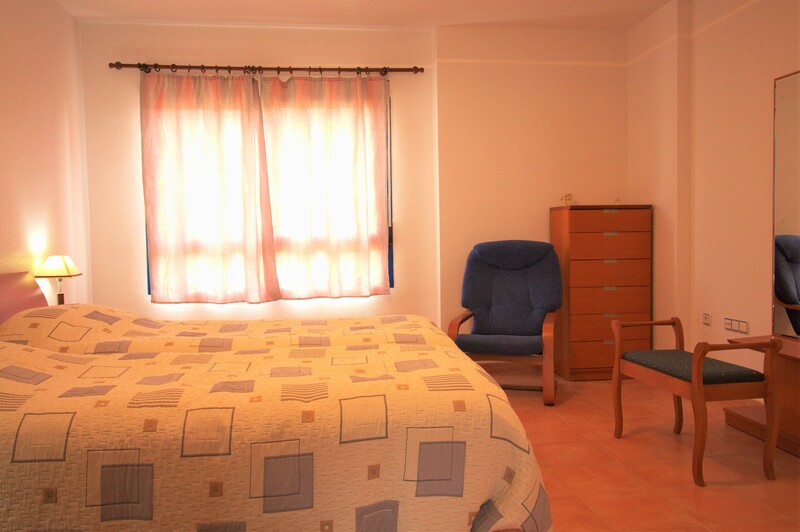 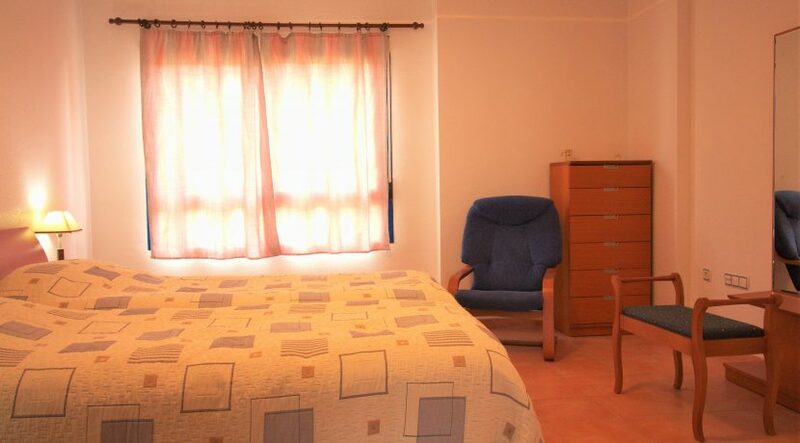 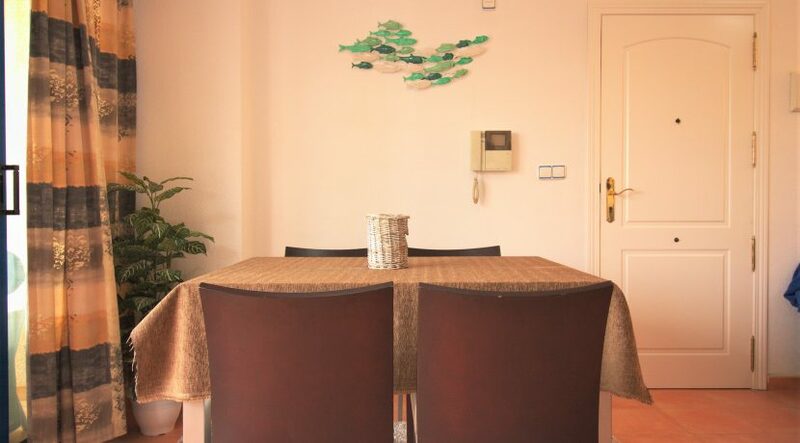 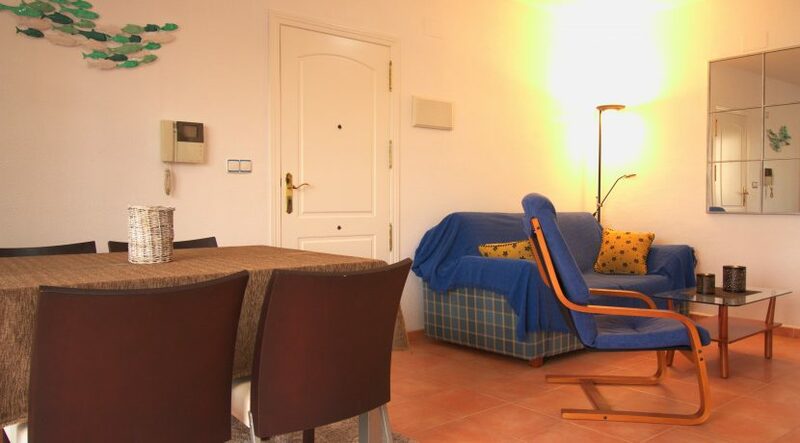 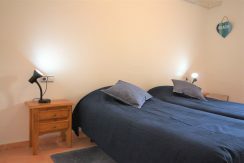 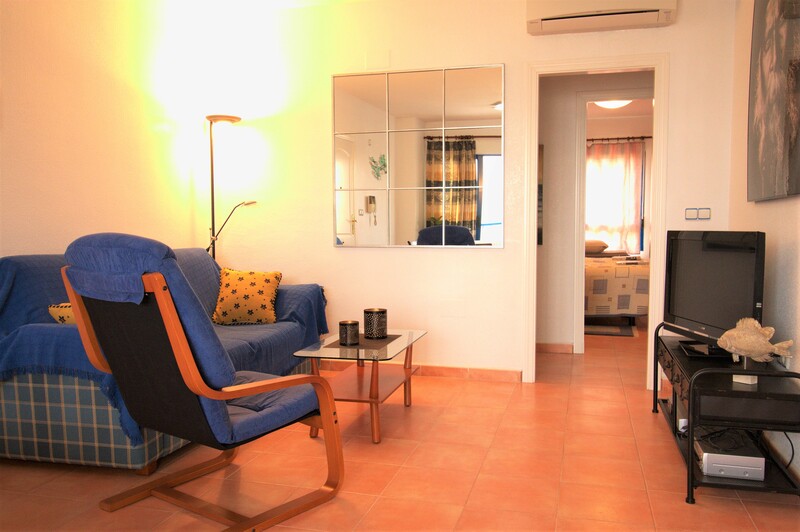 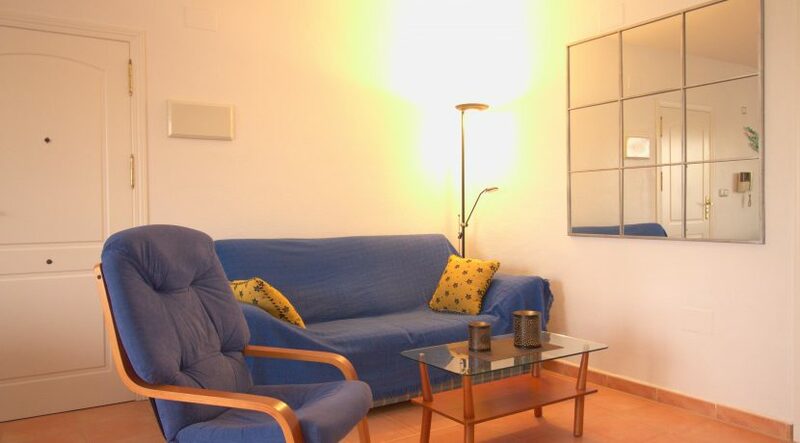 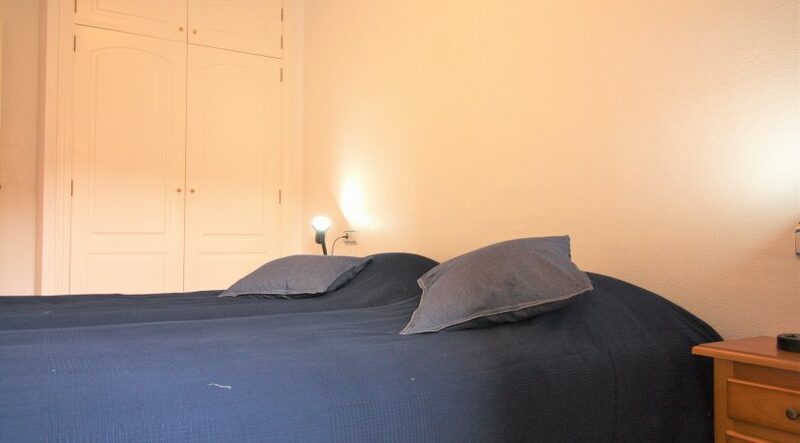 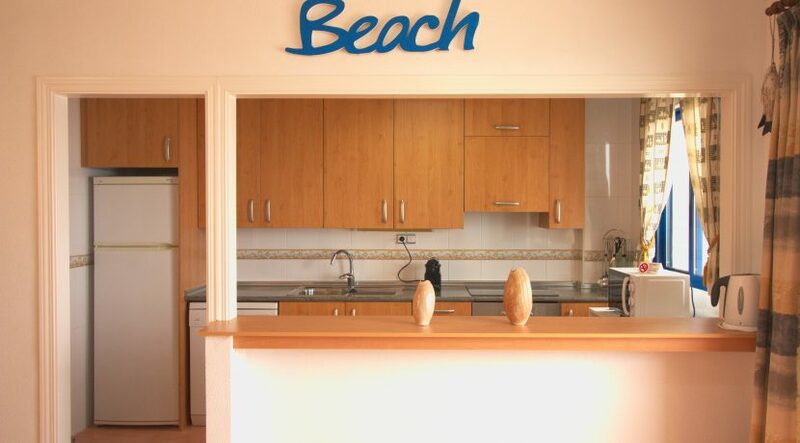 There are communal wifi, received also in the apartment and a communal pool which is open all along the year. 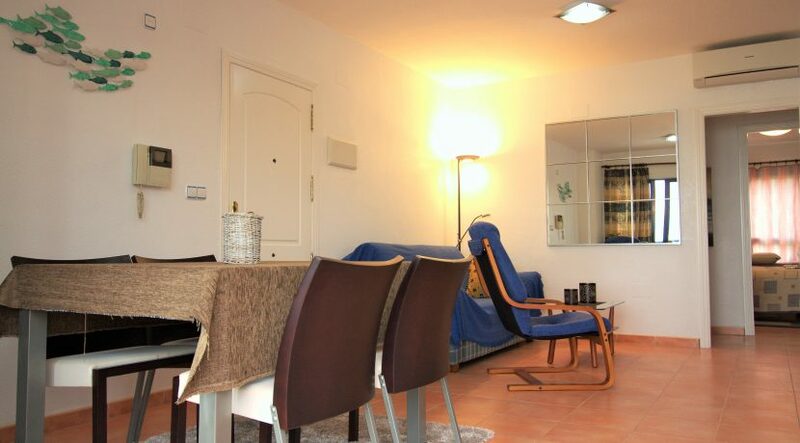 The apartment has got a private parking space in the underground communal garage. 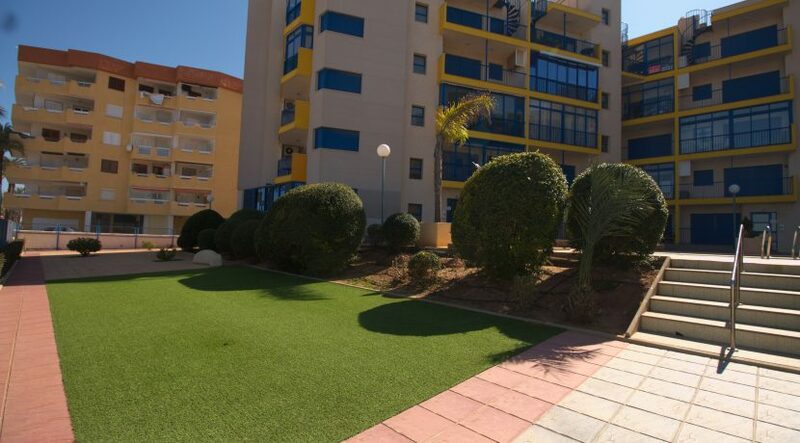 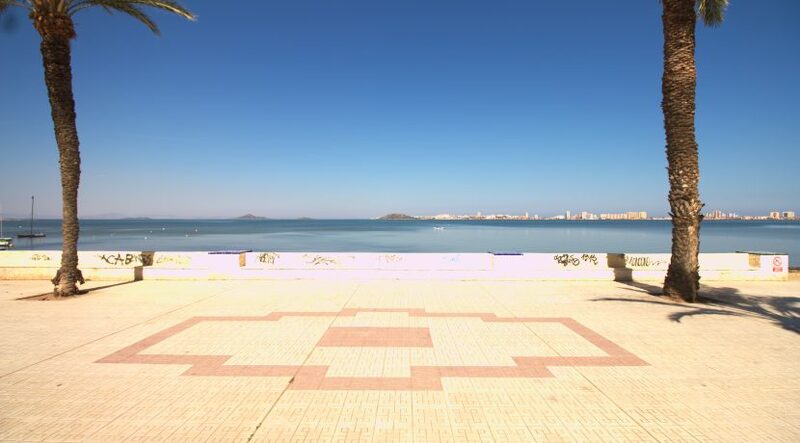 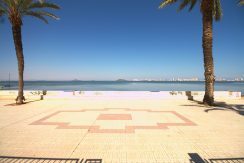 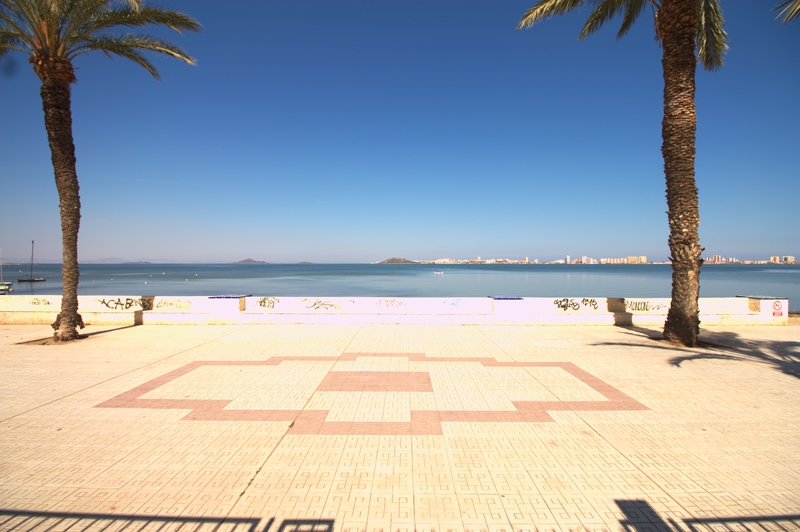 Located right before the main entrance to La Manga, next to the Natural Area of Las Salinas de Marchamalo, Playa Honda is a beautiful neighbourhood, perfect for families and very well linked with the rest of La Manga and Cartagena, since it has got access from the highway. Playa Honda has got its own shops, and very good bars and restaurants. 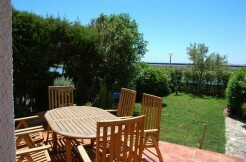 Cabo de Palos and the nearest big supermarket is only 5 minutes by car. 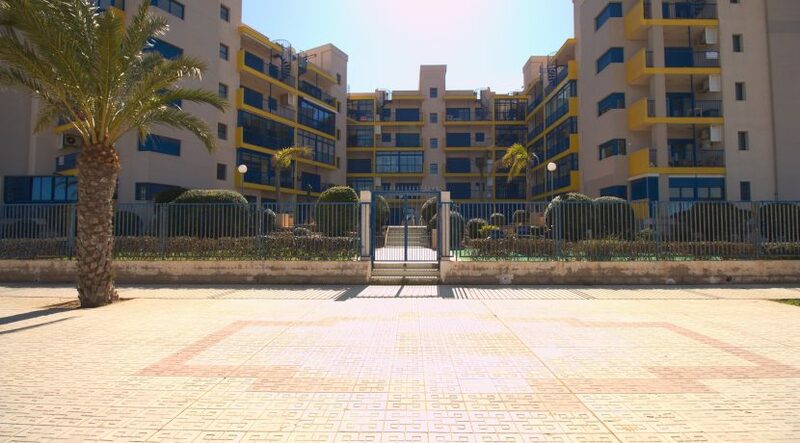 Having a car is recommendable, but not essential, as there is a bus next to the development. Buses run all year round but with more frequent services laid on during the summer months. 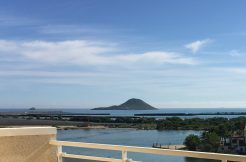 Great opportunity in Cala Flores! 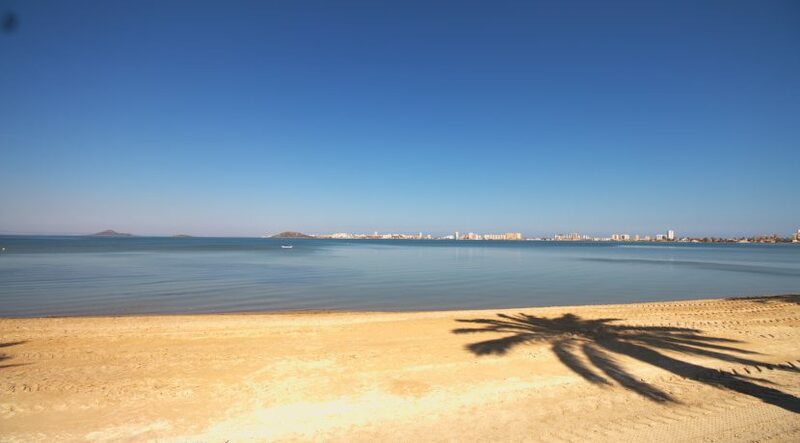 Frontline of the Mar Menor!